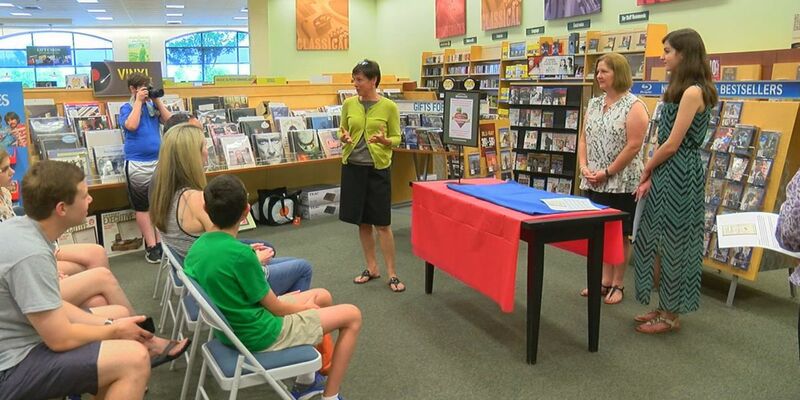 COLUMBUS, GA (WTVM) – A Blanchard Elementary School teacher has been named the regional winner of the 2017 Barnes & Noble My Favorite Teacher Contest. Ms. Monica Harris, a second-grade teacher, was nominated by her former student, eighth-grader Samantha Khoury through a heartfelt essay. From January to March, Barnes & Noble Columbus invited middle and high school students to nominate their favorite teacher by writing essays, poems or thank you letters that share how their teacher has influenced their life and why they appreciate and admire their teacher. "It just means a great deal to me to know that I am giving back to students in my community who appreciate the opportunities that we have in our building to grow and learn together. It's not about me it's about my students and the things that my students and the things that my students do, their performance not mine," said Monica Harris, a 2nd-grade teacher at Blanchard Elementary School. Along with winning the regional contest, Ms. Harris will receive a $500 Barnes & Noble Gift Card. Ms. Harris was one of five regional winners nationwide. The national winner of the My Favorite Teacher Contest, who will receive the title of "Teacher of the Year," will be announced in early June.